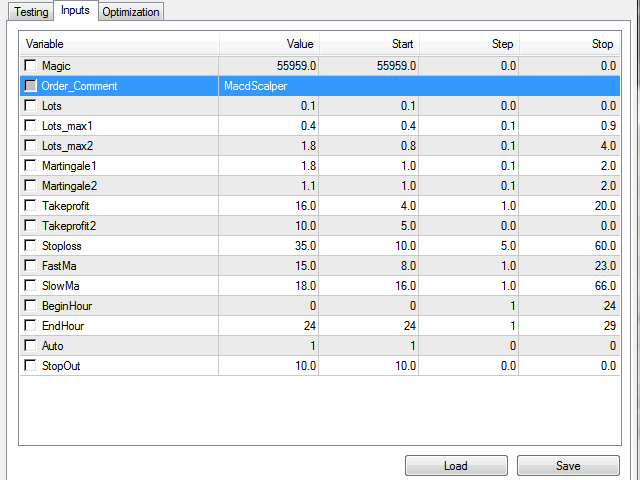 MacdScapler is an automatic expert advisor with two section of martingale strateges with automation takeprofit. The MACD indicator with adjustable parameters is used as inputs. If parameters of the entry points goes wrong, the EA changes them automaticly. The minimum recommended deposit is 1000 cents for 0.01 lot. Spread is recommended less then 2 points. The martingale parameter can be set from 0.1 to any value in two steps - the first for the four trades and the second for more then four trades. 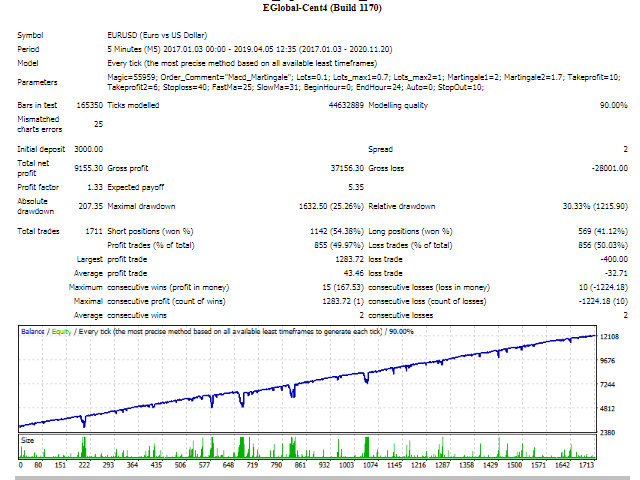 When martingale is on, takeprofit for each order is calculated depending on martingle parameter plus addition small takeprofit. After the transaction, which covers all losses, all parameters of the EA are returned to their original values. The best usage on EURUSD M5, M15. 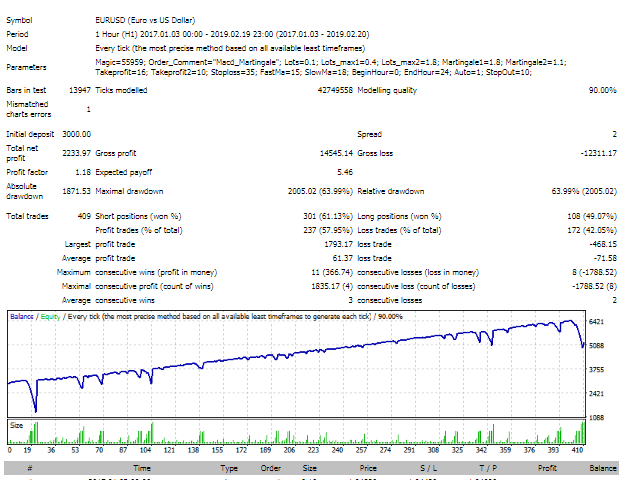 It is better to use trend currency pairs. 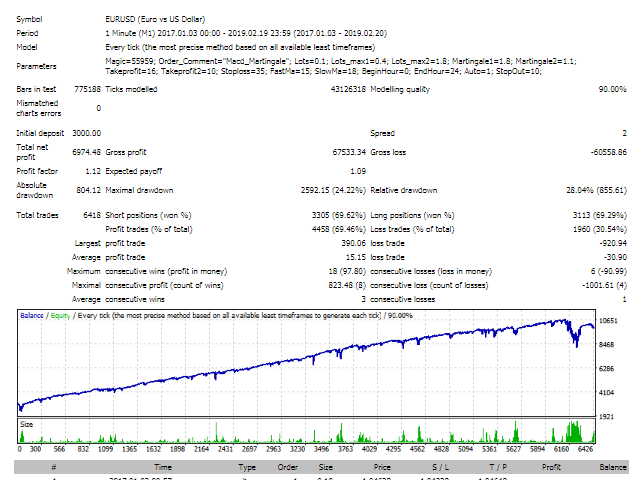 This EA is optimised automaticly for EURUSD from 2007 to 2009, so you can use it without changing parameters. The EA works on five-digit quotes. Before trading on a real account, it is recommended to check the trading in the strategy tester with Auto on (1) or with the selected parameters, or after optimization the EA for your currency pair. 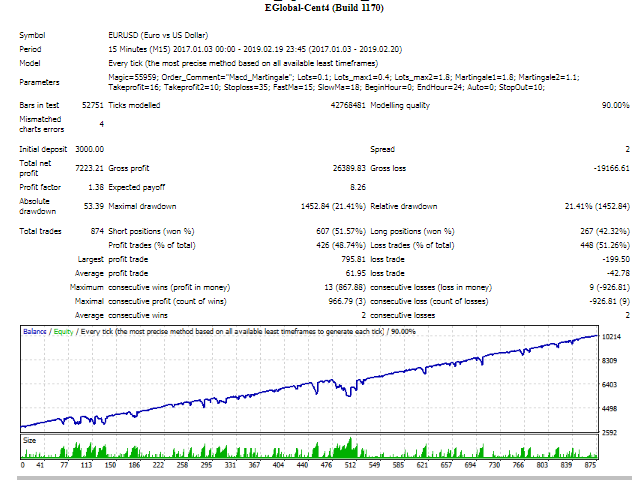 In takeprofit and stoploss are used 4-digit values.